Nightfall Navy coloring adds to dorm decor! Looking for Coma Inducer® Comforter - UB-Jealy - Nightfall Navy in Queen or King sizes? Inspired by the classic fight for more covers! The question posed was, "Can there be bedding so plush and cozy that you not only fight for it, but more importantly refuse to lose the fight?" When you win that fight you can tell your opponent (yes, opponent), who is sure to be upset and mean to you, "UB-Jealy" - or if you speak proper English you can say: "You are being Jealous." There are so many dorm essentials you need to bring with you to college, and soft Twin XL bedding is definitely one of them! While organizational dorm items, stylish college decor, and other small college essentials are needed to help you survive your time in your dorm room, your extra long Twin bedding is probably the most important for your dorm room. Without extremely comfortable Twin extra long bedding, you might not get the sleep you need to fully focus during classes. So if you crave this incredible comfort for your dorm bed, why not go with an oversized Twin XL comforter that was designed to incite fights over the covers! 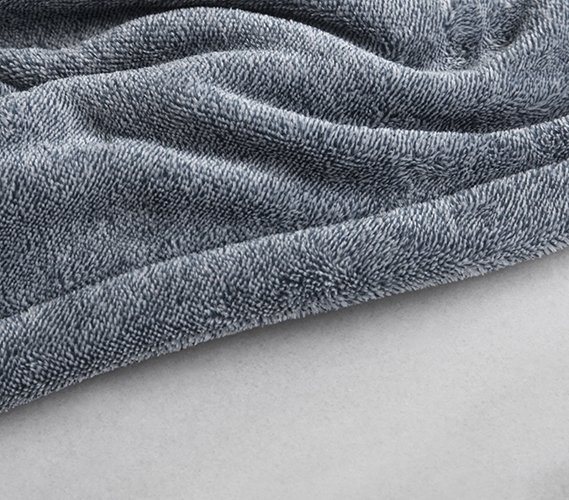 Our Coma Inducer Twin XL Comforter - UB-Jealy - Nightfall Navy is made with a yarn dyed plush material that is sure to keep you warm and cozy on your dorm bed. 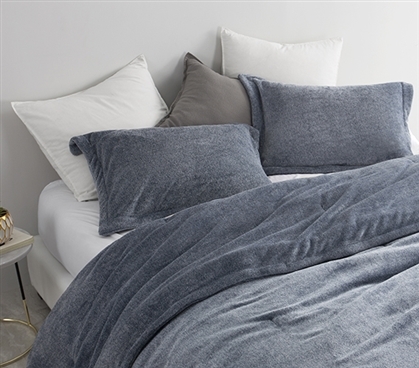 This navy blue Twin XL comforter is so cozy, you'll want to keep the comfort all to yourself, even though this oversized college comforter is made with extra length and extra width. But this luxurious comfort is addictive, so no one can blame you for being obsessed with the comfort of this dorm bedding essential! This college bedding set comes with this plush Twin XL comforter and a matching standard size pillow sham to complete your extra long Twin bedding. The stylish color of this navy blue Twin XL oversize comforter is also a great way to accent the rest of your bedroom decor and bedroom furniture. The plush comfort of this soft Twin XL bedding item will make sure you get that great night of sleep you need while you are away at college.